Ben Bartlett is Managing Partner and President and Chief Operating Officer of Convergence Investments. Mr. Bartlett has 16 years of real estate investing and transaction experience. His responsibilities include running the firm’s corporate operations and implementing the strategic plan. He also manages deal flow and syndication for the Convergence Opportunity Fund Platform and is co-Chairman of the Investment Committee alongside CEO Colby Cox. 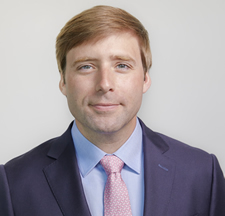 Prior to joining Convergence, Bartlett was Vice President of Corporate Operations and Asset Management for Washington, D.C.-based private equity firms Artemis Real Estate Partners and Easterly Partners. He was responsible for the build-out and management of operations and asset management systems for over $4 billion of real estate equity investments. During his time at Easterly Partners Mr. Bartlett was a leading member of the senior management team responsible for taking the firm public through its IPO on the NYSE. Before his experience in the principal private equity business, Mr. Bartlett worked in CMBS distressed debt workouts with CW Capital. He managed a portfolio of over 60 CMBS loan and REO transactions and dispositions worth over $500 million. Mr. Bartlett earned a B.S. in Finance from Towson University and is an avid skier, angler and outdoorsman. He lives in Jackson, Wyoming with his wife Mikaela and their two dogs.